Polly Hill planted seeds at the age of 50, transforming family land into public source of hope, experimentation and education. Kudzu! November 11, 2011. New Island Record, Vineyard Haven recorded. Believed to be Naturally Occurring. Once thought extinct on MV! It is a rustic way of record keeping, but an essential one. With the help of local land conservation groups (each of which have a trained field botanist on staff), Polly Hill Arboretum volunteers and staff collect, press, mount, identify and label collected specimens and then store them in insect-proof cabinets, documenting natural and spontaneous (aka invasive) flora on the Island. The herbarium currently has about 600 herbarium voucher specimens. It all started in 1998, when microbiologist Dr. David H. Smith — with the help of the Hill family and other horticulturists — created a foundation “to preserve Polly’s botanical and horticultural legacy, to maintain the property, and continue Polly’s ideals of plant research, education and conservation” as stated in their mission statement. Ms. Hill had been cultivating the property since 1957 when she inherited it from her parents at age 50. “I’ve always considered the most inspiring story the fact that at the age of 50 she decided to start growing trees from seed, obviously thinking, and she was right, that she had another 50 years to go,” said Ms. Khedouri. In 2007 Polly Hill died at the age of 100. On the outside it may have looked like Ms. Hill was just a passionate hobbyist but she actually went about her work with the diligence of a practicing botanist. On Thursday, August 15, the annual David Smith Memorial Lecture takes place at the arboretum at 7:30 p.m. Walking around the property, visitors will find little brown and white name plates next to each cultivar. The name plates contain the plant family, Latin and common names of the plant, and also what date it was planted, where it originated and what number plant it was. Even the novice can see immediately that many of the plants and trees at the arboretum are ones not usually associated with thriving in the northeast, never mind an Island. There are plants normally seen only in southern states, like the magnolia macrophylla for example, which she cultivated and named after her husband, Julian Hill. Ms. Hill also had a particular interest in Asian plants and shrubs after spending time in Japan as an English teacher. She challenged herself to see if they would succeed on the Vineyard, which they did. 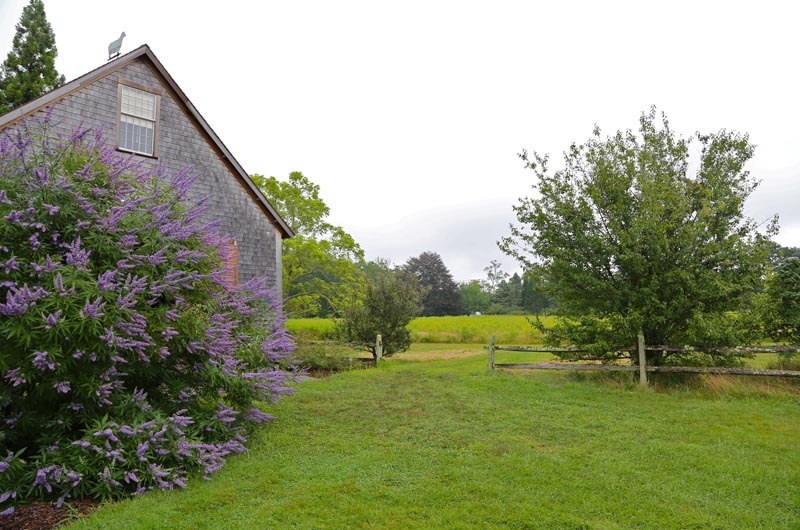 Ms. Hill is said to have pioneered the cultivation of Japanese azalea and rhododendron, and her North Tisbury azalea is now a famous variety. The arboretum also has the distinction of housing the national Stewartia collection. 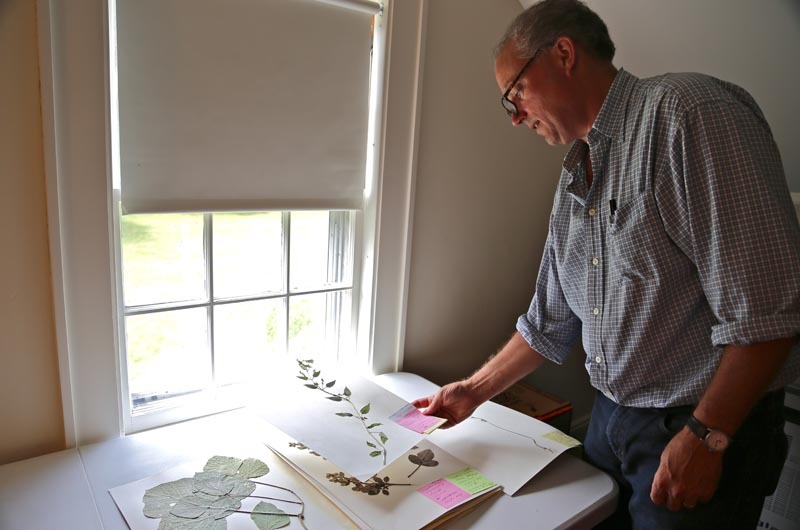 “One thing Polly was interested in here, and I am too, was that all of these plants have cousins that are either Asian or from some other place, so it kind of harkens back to when the world was one and they grew apart,” explained Mr. Boland. “She would take seeds and experiment. When she found a seed that thrived in this climate she would give it her name,” said Ms. Khedouri. Ms. Hill introduced about 70 cultivars into horticulture and would often name them after close friends and family members, which are displayed on the name plates of plants and trees located in special part of the property called Polly’s Play Pen, named by her husband. This is a fenced-in area that houses Ms. Hill’s most precious cultivars and keeps them safe from deer. “There’s a story about her grandson Alexander running across a plant named after him in a supermarket and saying ‘I don’t know if I like to be known as a low red creeper,’” shared Ms. Khe douri. 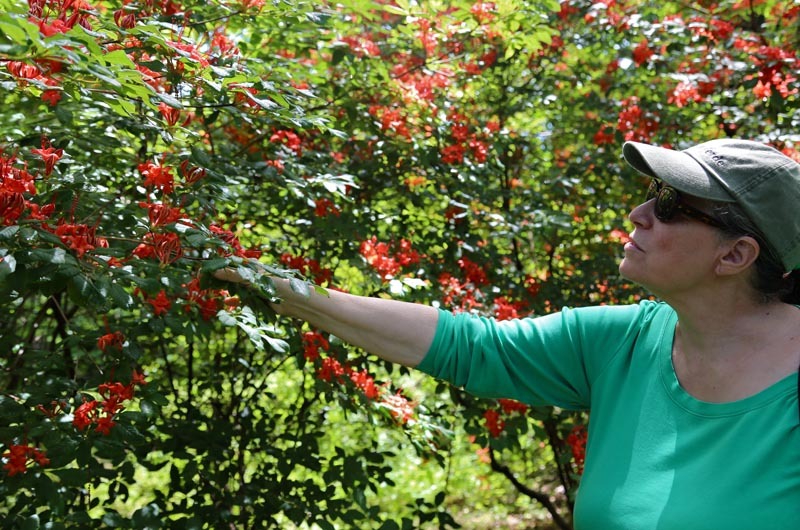 Aside from being a public space where visitors can meander, the arboretum also offers many educational programs for both children and adults throughout the year. 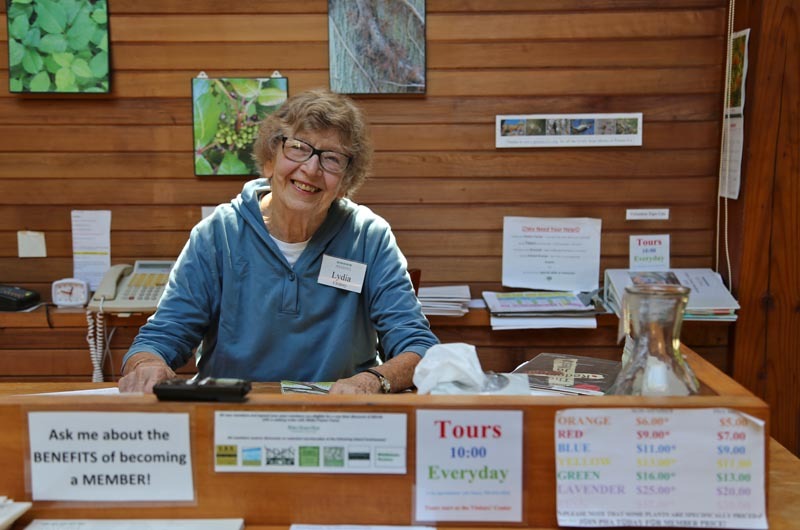 Tours are offered from Memorial Day through Columbus Day at 10 a.m. daily, seven days a week. Family Explorer Backpacks are available at the visitor and information center for independent exploration. And, if there’s a plant at the arboretum that you want to grow in your own garden, plants are available for sale. Mr. Boland said he is very proud of keeping Ms. Hill’s legacy alive by inspiring future botanists. In its 15 years as a public garden, the arboretum has hosted 34 interns through the One Seed at a Time program. The 15th annual David Smith Memorial Lecture is at 7:30 p.m. on Thursday, August 15 at the arboretum. Stephen R. Kellert Professor Emeritus at Yale University’s School of Forestry and Environmental Studies discusses biphilia and his book Birthright: People and Nature in the Modern World. Admission is $5 for arboretum members, $10 for the public. 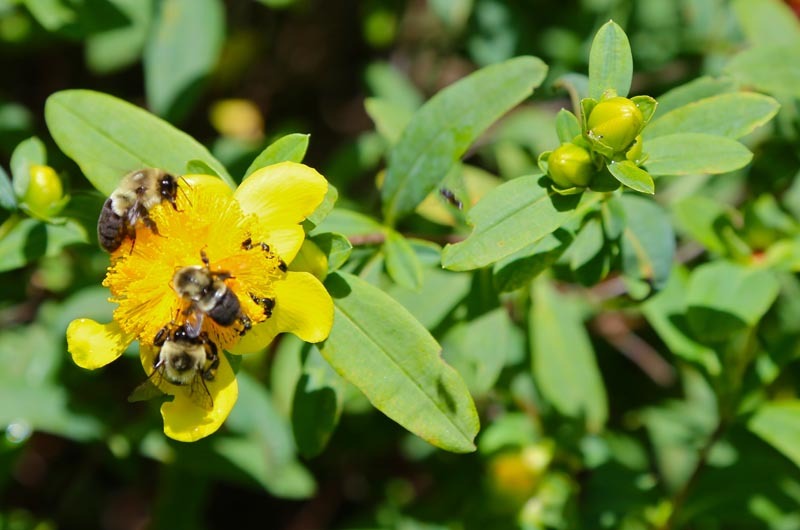 For information, call 508-693-9426 or visit pollyhillarboretum.org.